It's been a long old while since we've heard anything about Nabi Studios' fighter Toribash: Violence Perfected, but it's emerged from the silence cocoon with the news it will hit Europe next Friday, July 9th for 1,000 Points. 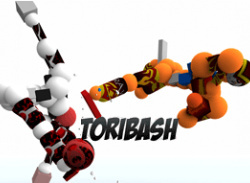 If you're unfamiliar with the admittedly odd concept, Toribash is a turns-based fighting game where extending and contracting muscles..
Nabi Studios releases new game play video of their upcoming WiiWare title Toribash in action. 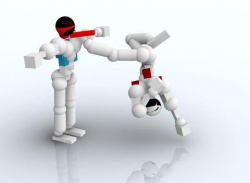 The main goal behind Toribash is to give players unprecedented freedom by providing them with total control over their fighter's bodies. The developers have said that they hope this will provide a unique experience on the WiiWare service for gamers who have been looking for something new and original. The.. 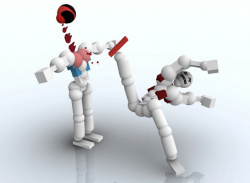 The developers of Toribash have just confirmed that they're currently developing a version of their extremely unique fighting game for Nintendo's WiiWare service via their official blog. 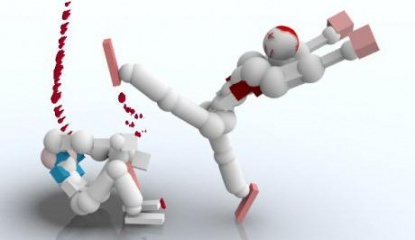 Toribash can best be characterized as a physics-based one-on-one fighting game that allows players to have unparalleled control over their figher's game play moves. Unlike many other fighting games out there,..